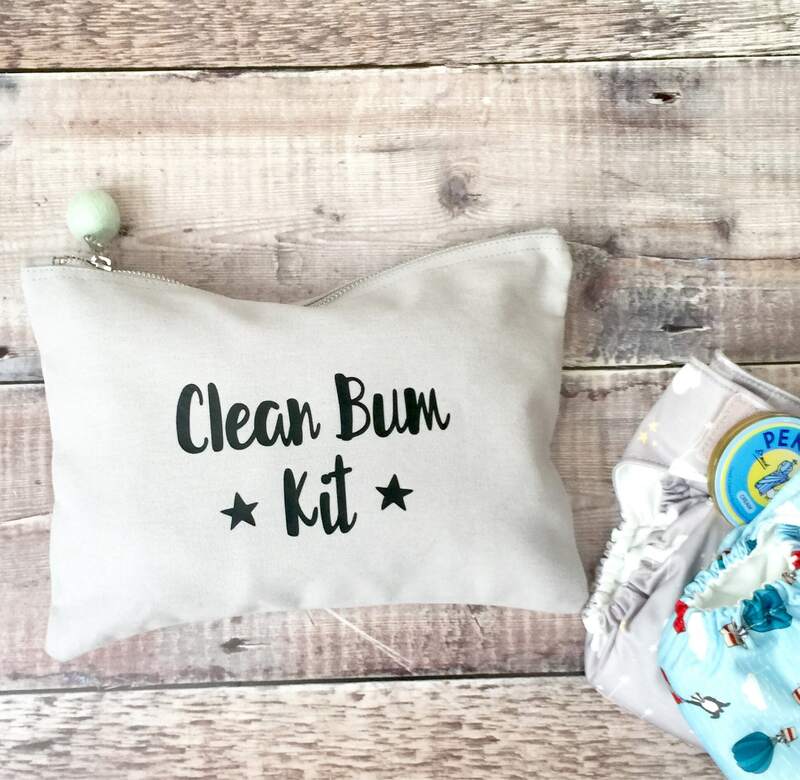 This nappy pouch would make a funny yet practical gift or simply keep it yourself! 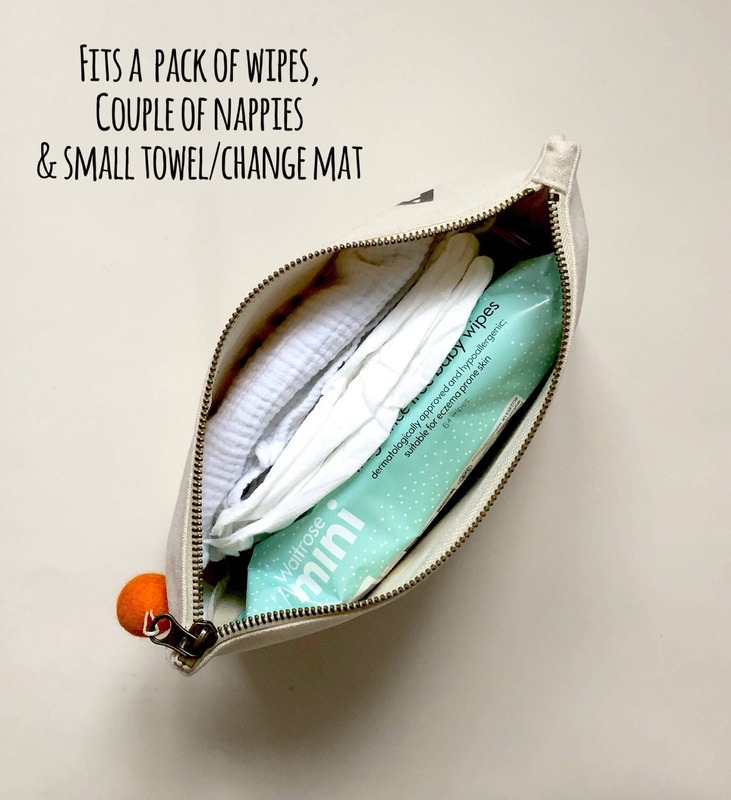 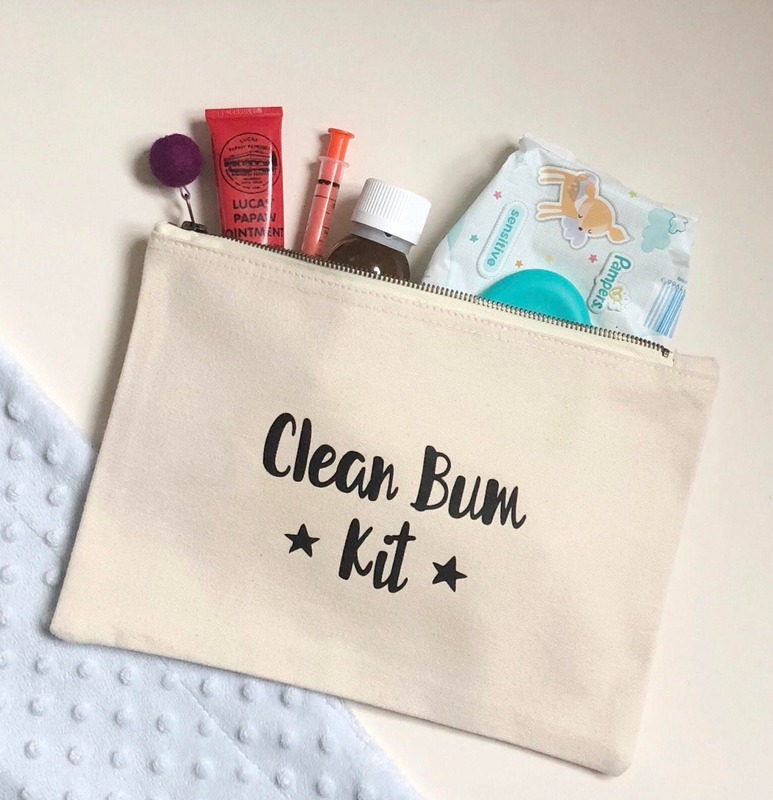 You can fit couple of nappies, pack of wipes and a small towel in the bag and it's easy to grab from the changing bag. 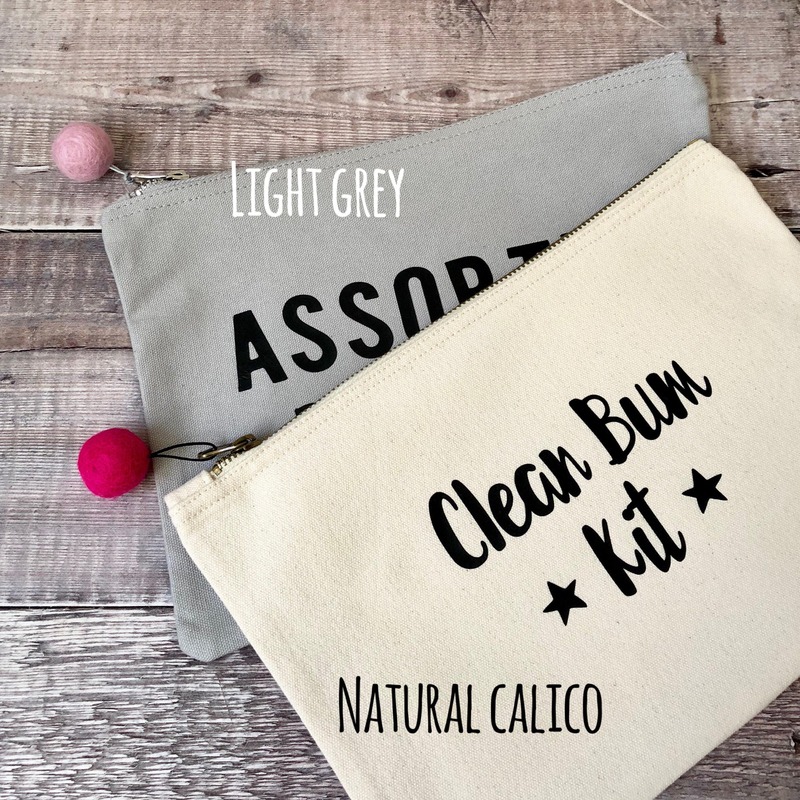 The bag is made of strong, quality canvas in a choice of either light grey or light calico and has a heat sealed slogan CLEAN BUM KIT on top. 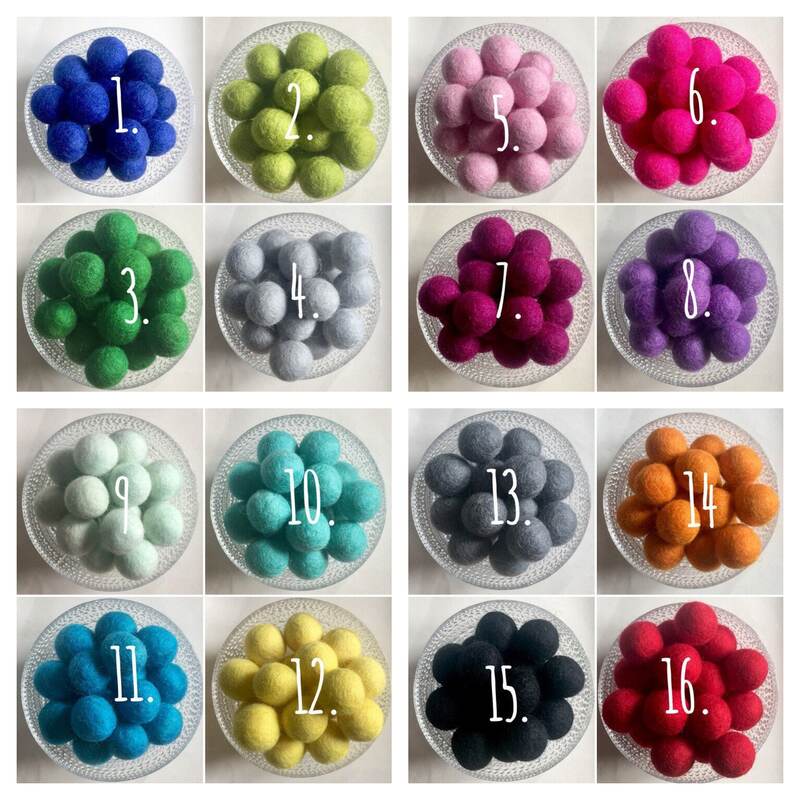 You can also choose what coloured pom pom zipper pull you'd like. 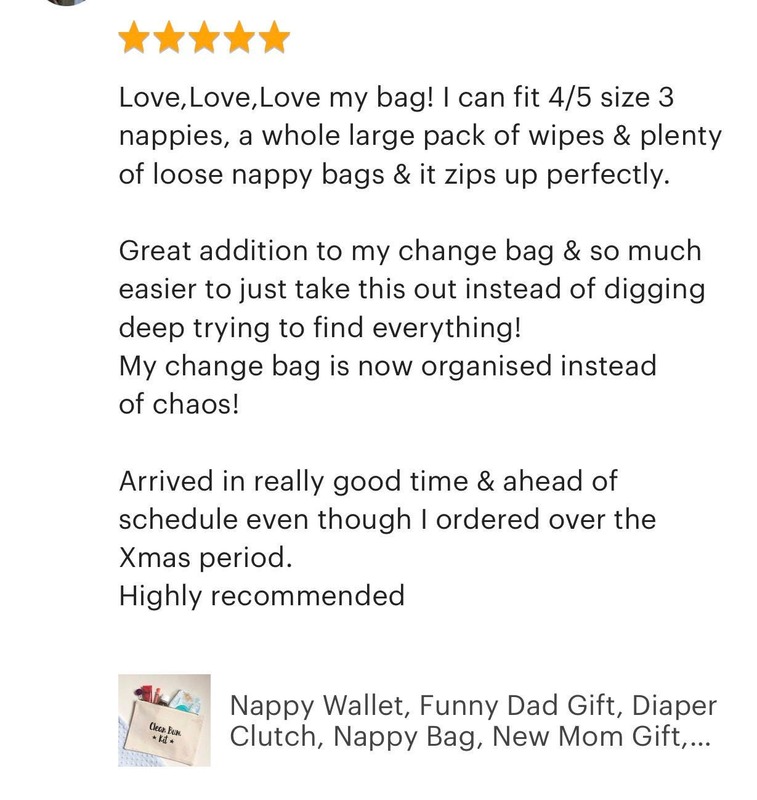 Just click the drop down menu to do this. 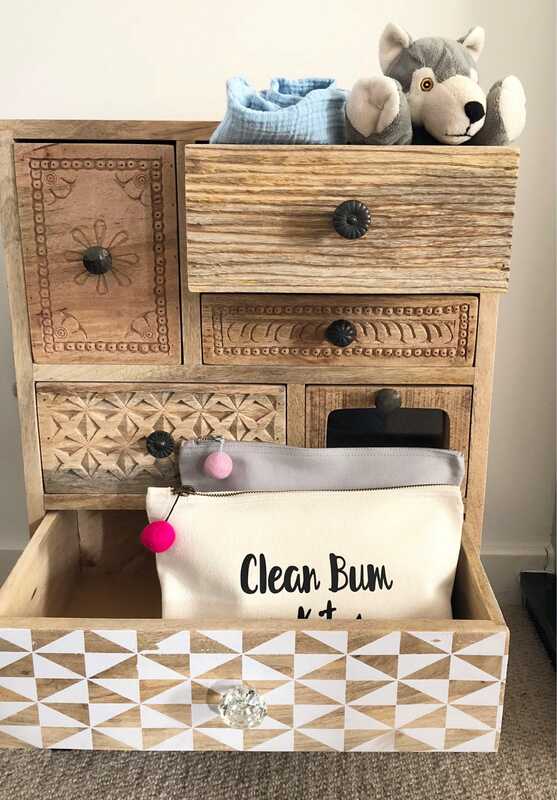 You also have a choice of no pom pom.